Thanks to ‘Ms. T’ again for her generosity of time in taking these pictures. 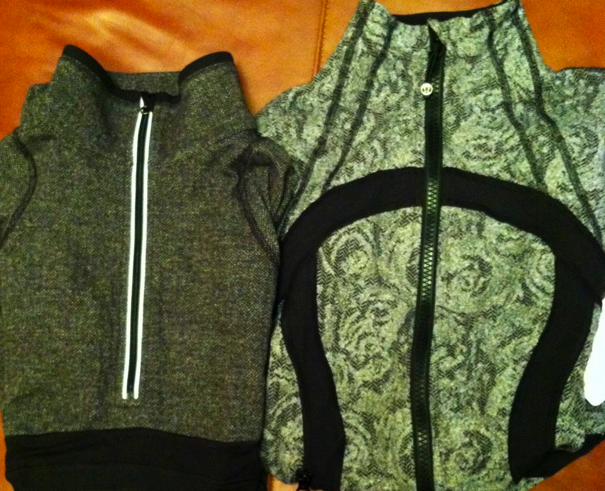 On the right is the Rose Herringbone Black Define and on the left is last years Herringbone Full Tilt Pullover. I’m lusting baaaaaad for this new Define Jacket. I regretfully missed out on all the Mini Check and Herringbone items last year and I’m definitely in need of a neutral black jacket so this purchase is a total no brainer for me.